Never had a good impression about the TLG for their overpriced chinese fare. However, give them to me free and i'll probably fall head over heels for a bite. Zhou's kitchen happen to be one of those places where i got lucky and had the good fortune to eat for free due to work commitments. As everything is free, do note i may be more skewed to say their good then not. The event was one that my company booked the whole restaurant for. This branch is near the road and has 2 stories. Seating capacity more or less maxes out at around 50-70 people but we invited 300-400 so it was quite a squeeze. The service staff were friendly and accomodating which made our jobs easier but even then, they weren't able to cope with the huge numbers. In terms of food, what i had was a buffet spread of dim sum which pretty much sums it up. 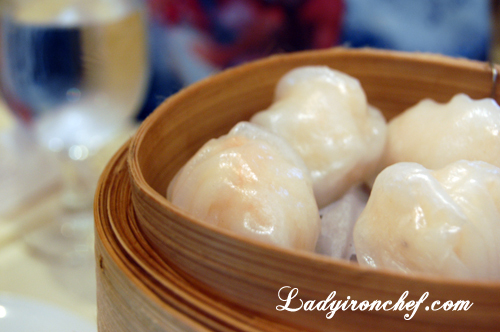 In detail, i had the normal steamed shrimp dumplings which were generous in the dosage of crunchy shrimp which i liked. I also had the fried shrimp dumplings which were essentially the same but fried to a nice golden brown. Beef slices were rather dry and not to my liking. The salad prawn with mixed fruits were rather delightful as well. Crunchy shrimp simply doesn't grow old for me. BBQ pork pastry was rather average with the meat being overly hard and sweet. The pastry itself also lacked the aromatic fragrance which i like. The steamed custard bun was rather disappointing since it tastes like those 50 cent per piece ones you can find in the hawker centers. I also had a little fried rice and fried bee hoon to go with everything and the rice stood out with its salted fish rendition. The bee hoon was too oily for me. 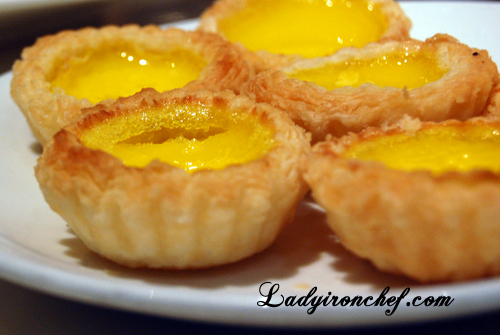 To end it, i had mini egg tarts which had crispy and flaky pastry with less sweet egg fillings which was welcome. All in all, it wasn't too bad so why 3 stars? For one, i still don't think its worth the price of admission and 2, i just don't have as good an impression of the group as before. 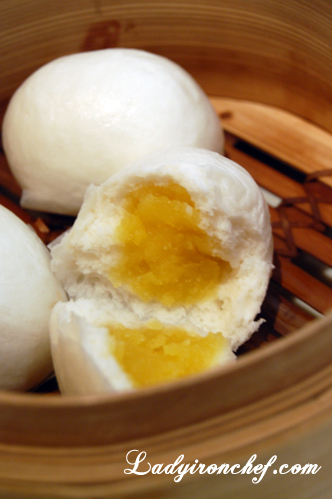 It’s dim sum time again! 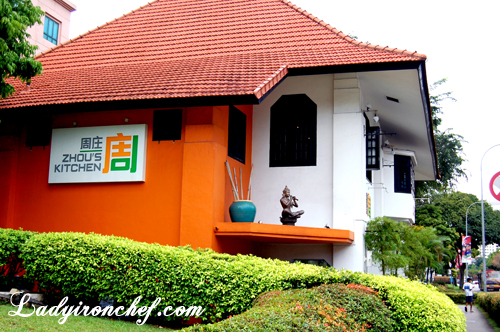 This time we are heading to Zhou’s Kitchen, a mid-tier casual Chinese restaurant under Tung Lok group (TLG). Judging by its menu and interior, it is clear that Zhou’s Kitchen caters to the palates and pockets of diners from all walks of life. For its Anchorpoint branch, Zhou’s Kitchen is uniquely housed in a separate double-storey building known as the ‘Copperdome’, just outside the sub-urban shopping mall. There’s also two other outlets at Square 2 and Far east square. Zhou’s Kitchen caught my attention mainly because of their high tea buffet which is at $16.80 per head. Initially when they just launched this buffet, it was only on weekends, but they had since included in weekdays as well. The interior was simple and decorated according to their theme of orange and green. There’s a total of 34 items to choose from the menu, which included some appetisers, soup, dim sum, rice & noodles, and desserts. Prawn Crackers ($3 for 3 pax) Zhou’s Kitchen provided prawn crackers for us to munch while waiting for the dim sum to be served. And just in case you’re thinking, they were not free. They charged us $3 for them since we had 3 person, so i guess its by head count. Wonton We was expecting wonton but it came in the form of the fried wonton skin instead. Fillings were minimum, but the sweet tangy sauce that accompanied the fried crispy skin was not too bad to start your meal. Beef slices I didn’t know what to make of this, i felt that the beef slices was average, the taste was forgettable, but then again, my friends thought it was not bad. Salad prawn with mixed fruits I’m a sucker for salad, so anything with salad wouldn’t taste that bad to me. The salad prawns were crunchy, a refreshing appetiser. But no doubt too much of good things could turn out to be bad too, as the salad dressings would be quite heavy. Drunken chicken This was easily the most unmemorable dish out of all the ones we had. Drunken chicken? Like what my friend said, it tasted more like “pig tails” to us (not that we had eaten pig tails before). Pan fried chive dumplings with chicken I ain’t a fan of chives, so anything from me about chives dumplings would surely be negative. You need to try this for yourself to find out. Mini Egg tarts Now, this is the real deal. By far one of the better dim sum i’ve for this meal, the mini egg tarts beared a reminiscent to the ones i had at Wah Lok, smooth and eggy fillings. And like before, mini egg tarts only posed the problem of being too small. But hey, we’re having dim sum buffet, this was all-you-can-eat, so no issue there. I lost count of the egg tarts i eaten that day. Steamed pork and shrimp dumplings As always, there’s pork, shrimp, fish roe in the Siew Mai. But Zhou’s rendition had a twist by adding in mushrooms as well. Although the taste of mushroom within siew mai didn’t really enhanced the flavour, but you got to give it to them for doing something different from the norm. Steamed BBQ pork bun Any char siew buns which had three parts would do for me. The one here was not bad, and although its very filling eating buns, i couldn’t help myself to two of them. Steamed shrimp dumplings The shrimp was good, crunchy and fresh. However, the skin was too thick and sticked to the teeth after eating it. But if you just wanted to make the most for your money, just order and eat as much as you can. Otherwise, i wouldn’t eat too much of it as the overly thick skin made me feel sick of dim sum. Steamed pork ribs with black bean sauce I always didn’t fancy ordering steam pork ribs, since there’s always hardly any meat on this type of steamed ribs, and unlike those “pork ribs king” which are popular in Zi-char stores, there’s nothing for you to chew on the bones here. Fried rice with chicken and salted fish The fried rice was surprisingly quite good, the wok flavour was evident with every grain of rice, and the clever use of salted fish did enhanced the taste of the fried rice. I’ll have ordered second servings if not for the fact that rices were very filling. Deep fried prawn paste chicken Their deep fried chicken marinated with prawn paste sauce, or Har Cheong Kai, was a laughing joke. The chicken was skinny, bare to the bones, the prawn paste was weak. I could hardly finish one chicken wing. Period. Baked flaky BBQ pork pastry The bbq pork pastry, or char siew sou, fared better than the rest. Although not excellent, but it’s still worth having second helpings if you are a fan of char siew sou like me. Steamed custard bun Their steamed custard buns brought back bad memories like the ones i had at Victor’s, the custard wasn’t cold, but they were very hard, unlike those good ones which had warm custard fillings oozing out with the lightest break of the bun. Total bill was $66.30 for 3 person, which worked out to be around $22 per person. TLG is well-known in the local culinary scenes with their chains of restaurants, thus i was thinking Zhou’s kitchen couldn’t be that bad. But having been there, ate that, i would say their dim sum wasn’t worth the effort. No doubt it’s cheap for all-you-can-eat buffets, you can gorge yourself silly, but i’ll rather eat less in quantity, and more in quality. I won’t bother going back again for their dim sum buffet, for a short while, i even felt sick of dim sum after eating so much that day, that’s why i disliked buffets, especially so if the food ain’t good. And by the way, there were 34 items, we tried quite many of them, but i didn’t show all the pictures out since the rest was either not worth mentioning, or we didn’t try them. 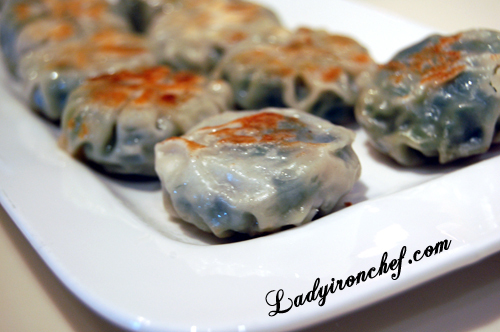 You are always welcome to visit ladyironchef for a full-up on this trip. Whatever written herein are my genuine feelings expressed in words. Food, my dear, is what they call an adventure! This is the conservative 2-storey colonial house located outside Anchorpoint. Hooray! Found another decent and affordable Chinese Restaurant that offer " Xing Hua " dishes & Dim Sum for family gathering with old folks. Hi-Tea Buffet 2.45pm-5pm $15.80 (min. 2 persons) (Wkends & PH). Car parking getting challenging during peak lunch / dinner hours, with the opening of many new food outlets at Anchorpoint itself. Alternatively, can park car across the road at IKEA Alexandra, and cross the pedestrian bridge over.